What is happening in CIC? Petitioner has raised the following issues regarding the functioning of the CIC. Whether in the circumstances of case, the Center Information Commission (CIC), New Delhi is right in listing and hearing of on priority basis, even without registration, without recording any reason for out of turn hearing and disregarding their own norms? Whether CIC is right in hearing and deciding the unregistered cases? Whether in the circumstances of case, the Center Information Commission (CIC), New Delhi is right in for non-registration/numbering of cases for several months from the date of their filing? Whether keeping in view the object and time line prescribed under RTI Act, CIC is right for not deciding the cases for years together as no time line prescribed for CIC for disposal of their cases? Whether CIC is right for not listing and hearing the cases of the petitioner which are pending since year 2012? Petitioner contented that number of his cases which are pending since year 2012 have not been heard and decided, whereas the cases which have been filed subsequently are being decided by CIC. Therefore the action of the respondent is arbitrary and discriminatory, thus, it has violated the fundamental right of the petitioner granted under Article 14 of the Constitution of India and since the petitioner is not getting justice and the information is being withheld unreasonably therefore it also violate the Article 21 of the Constitution of India. Petitioner has also brought to the notice of the Court regretful state of affairs in the CIC and irregular and irrational listing of cases out of turn without any judicial orders and failure of the administrative machinery and registry of the CIC resulting in accumulation of merely 3500 cases waiting even for registration and nearly 25000 cases for disposal. Petitioner also seeks direction to the CIC to decide cases within a period of three months from the date of their filing. While posting the matter for next hearing on 04.03.2014 Justice Manmohan gave three weeks time to the DoPT and CIC for filing the counter affidavit. In a similar matter in the case of Akhil Kumar Roy, the Calcutta High Court has earlier held that in view of the scheme of RTI Act prescribing time limit of 30 days for providing information (Section 7) and disposal of First Appeal within 45 days [Section 19(1)], the Second Appeal should be decided by the Information Commission within 45 days from the date of filing. 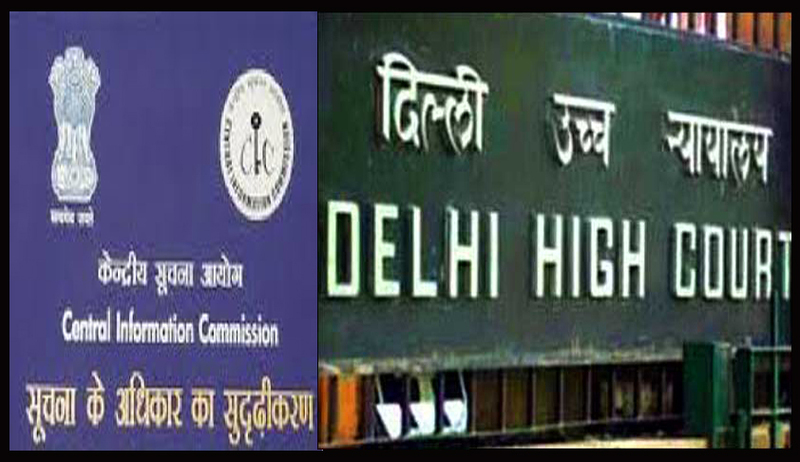 Earlier Delhi High Court has directed the CIC to hear cases according to their seniority in a writ petition filed by another RTI Activist Rakesh Gupta alleging that his cases are not being decided by CIC while others cases though filed subsequently are being heard and decided.